At Bucher Law Group, LLC, our lawyers have over 100 years of combined experience in a wide variety of legal practice areas including criminal law, DUI/OWI, personal injury, workers' compensation abd Social Security Disability. Our attorneys are dedicated to working to get the benefits that you deserve as quickly as possible. Some people attempt to apply for benefits on their own, but the process involves complicated paperwork and many different forms that are difficult to adequately complete. If you have tried to secure benefits on your own and were denied, we can help. Many Social Security Disability denials can be reversed on appeal. At Bucher Law Group, LLC, we are familiar with Social Security and can help to significantly increase your chances of success. We will guide you through the Social Security Administration process and work to provide quick and efficient processing of your claim. Our branch office is easily accessible and on the bus line. Contact us today by calling 262-303-4916 to schedule a free initial consultation to discuss your case. We pride ourselves on the individual attention we provide our clients. When an attorney is handling your case, that attorney will be your main point of contact and will keep you informed of any new developments throughout the course of your case. 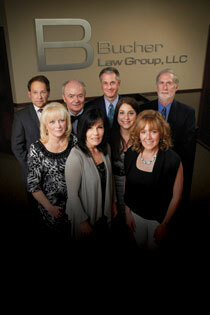 We take a team approach, which adds to the strength of your case. The depth of knowledge and many years of combined experience gives us an edge over other law firms. In addition to our legal work, the attorneys at Bucher Law Group, LLC, are active in the local community and legal clinics. 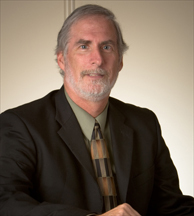 Steven J. Lownik has practiced as an attorney in Southeastern Wisconsin since 1982. He practices in the areas of worker's compensation, social security disability and family law. After many years as a municipal prosecutor, he has extensive experience in a court room, having successfully prosecuted over 100 jury trials. This experience carries over into his present practice allowing him to successfully represent claimants in thousands of worker's compensation, social security disability and family matters. Attorney Lownik was born in New Jersey on March 29, 1956. He grew up in Wisconsin Rapids, Wisconsin until departing for Marquette University. He received his degree in accounting in 1979 and received his law degree from Marquette in 1982. While in law school, he was active with many organizations, and continues as a member of the Delta Theta Phi Law Fraternity. He is a member of the Waukesha County Bar Association, the State Bar of Wisconsin and is licensed to appear in the Federal courts for the Eastern and Western District, of Wisconsin.